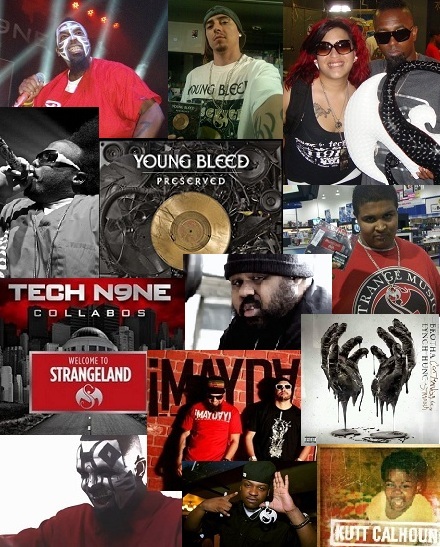 There’s no denying it, 2011 was a huge year for both Strange Music and the loyal fans that make up Strangeland. From the release of albums like Brotha Lynch Hung’s Coathanga Strangla to Tech N9ne’s Welcome To Strangeland, the year was jam packed with brand new music. Strange Music also stepped up the touring game with four different tours – Strange Noize 2011, Canuck The Industry, All 6’s And 7’s Tour, and The Lost Cities Tour. Then of course, the label expanded its roster by signing ¡MAYDAY!, Stevie Stone, and Prozak to finish out the year. From live concerts all around the country to blown stereos in every neighborhood, fans were able to experience Strange Music in a big way in 2011. With so much happening, we asked fans to share their favorite Strange Music moments of 2011. Check out what the fans had to say on Twitter! What was your favorite Strange Music moment of 2011? Share it with us in the comments below!